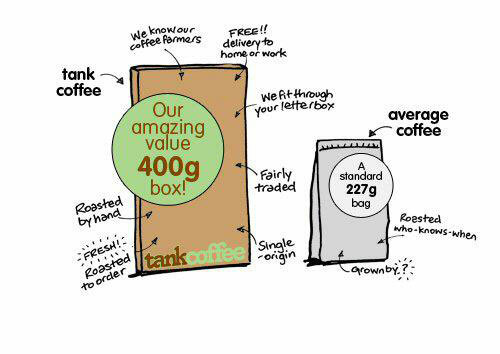 Our coffee comes in 400g boxes, so you get more IN the post! We’re a coffee roasting company with a big heart for the farmers in Africa who grow our wonderful 100% Arabica coffee. We carefully roast then sell our coffee by hand in small batches, then deliver them to homes, businesses, cafes, and delis. 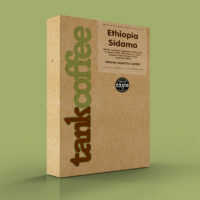 If you are looking to buy coffee beans, the idea is you experience the taste of coffee as it should be; at its freshest. That’s why we are the best place to order your beans. We like transparency. 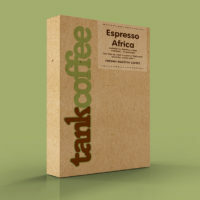 In fact, tankcoffee isn’t really a business. It’s more of a family, a network of relationships, starting with the farmer and leading to you. We set about talking to coffee importers and sellers, and finally ended up going to Ethiopia and Kenya to meet the farmers. We wanted to see with our own eyes what each farmer was really getting for all their hard work. To make sure our coffee was as fresh as can be, we also wanted to roast the coffee ourselves. On July 2009 a large Turkish lorry, driven by a large Turkish lorry driver, was seen negotiating the streets of Leigh with its precious cargo. On board was the Tank Coffee roaster all the way from Turkey. It wasn’t long before our lovely new roaster arrived at it’s new UK home the Tank Coffee house. Come and get a flavour for the work that we undertake, and the farmers we wish to support.